This USB wall charger and eight-pin cable is compatible with a variety of Apple devices. Made in China, the wall charger works perfectly with the 4th, 5th and 6th generation iPad, the 1st generation iPad Air, the iPad Air 2, the iPad mini 2, 3 and 4, and the iPad Pro. This product is a 12W pin charger suitable for charging and transfer of files. Great deal on apple product! I’ve used it every day to charge my iPhone X. Great price and works perfect! I also wanted to stick with apple products. The wall Charger does seem to be an authentic Apple charger and works great but the usb cable is not and doesn’t work well with my phone and doesn’t work at all with my IPad Mini. The Price of the charger alone is worth the purchase nascent on store prices. My iPad pro only came with a small 5 watt charger which takes a long time to charge. The 12 watt charger appears to be an OEM part. I only charged the iPad once so far and it worked great, charging it much faster than the original 5 watt charger. I feel this is a great deal. High quality charger. Supports quick charge. These are the only chargers I use. 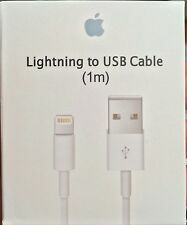 Great price for excellent chargers.